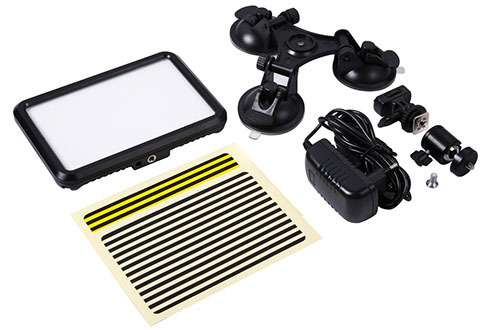 WOYO PDR LED Light APP is a portable diagnostic vehicle dent tool. 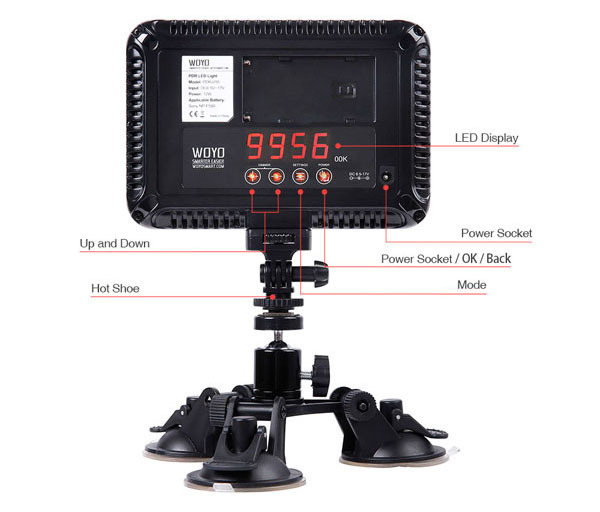 WOYO PDR light/reflection board adjustable color temperature from 3200K to 5600K with LED display, applying to any condition of light source, three powerful suckers at any angle, and checking any dent on the surface of all kinds of medal plane. one is white black and the other is yellow black. 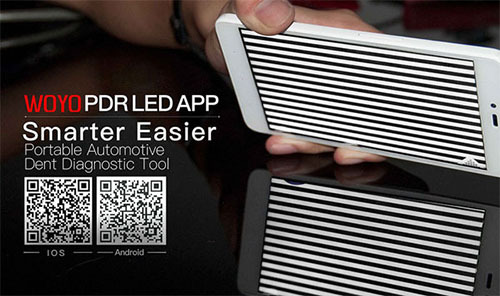 You could choose the one that have the most clear result for detect the dents. 3. It's used for aligning the reflected lines of the board to a dent. The reflection becomes distorted where the dent is and you can then work your PDR tool behind the dent to make the distorted image even or uniform again, once the distorted image or lines become parallel in the reflection you have successfully removed the dents! 4. 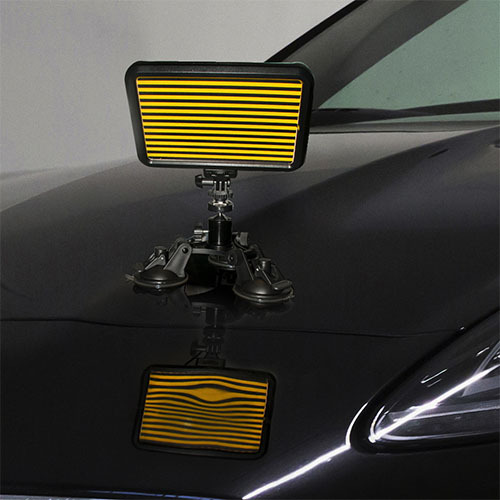 This model can be attached to a vehicle using its STRONG SUCTION CUP BASE on the flat metal, glass and plastic areas.